 Who We Are Recycle Me is a Burn Care Trust initiative driven by the need for skin for burn patients. We have formed an alliance with three other organizations in order to drive tissue donation in South Africa. The Centre for Tissue Engineering is a multi-human-tissue bank operating countrywide with the aim of increasing transplantable tissue – bone, tendon, cornea, skin and heart valves – for the benefit of South African patients. South African Burn Society will offer specialist expertise in the field of burns, feedback on recipients of cadaver skin and with the development of guidelines and protocols for the correct use of cadaver skin. Many in South Africa are unaware that tissue donation exists at all, until a loved one needs a tissue transplant. For many, tissue has to be imported at exorbitant cost from other countries, which excludes large sections of the population who cannot afford these costs. This initiative is aimed at raising awareness and mobilizing the South African public towards signing up as tissue donors, raising awareness for Next of Kin on the windows related to early retrieval of tissue from their loved ones, ultimately resulting in stored tissue for all South Africans in need. 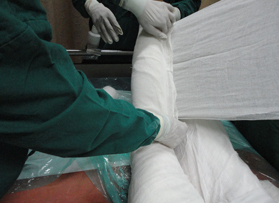 In a national disaster such as a runaway fire or terrorist bombing, cadaver skin is necessary to save lives on a large scale. This reserve would be over and above patients requiring skin from hospitals around the country. 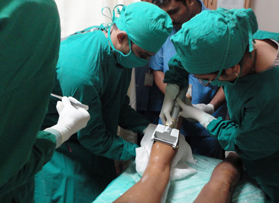 The impact of having skin available for burn patients will combat unnecessary suffering, allow time for the patients own body to stabilize (2-3 weeks) and be a factor towards improving mortality rates. Whilst our main thrust will be the drive for skin, donors will be asked if they would like to donate other tissue on the list, mainly bone, cornea and heart valves, as there is a critical shortage of all tissue. Over the last three years our skin donor drive has evolved to include all tissue and organs and we have partnered with others in a converted effort to raise awareness of tissue donation in South Africa. We will target management, doctors and surgeons, emergency and ICU nurses and staff in order to raise their awareness for the need for cadaver skin and other tissue. 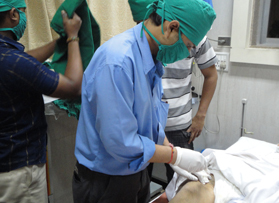 Their early detection of possible donors in hospital is where a large percentage of donors are procured.